Can be attached easily to any shoe. Reduces drag caused by the laces of the dragging foot. The cover is attached using the existing laces on the shoe. Many curlers with a highly developed slide will flip their trailing foot over during delivery such that the laces drag along the ice and reduce speed. 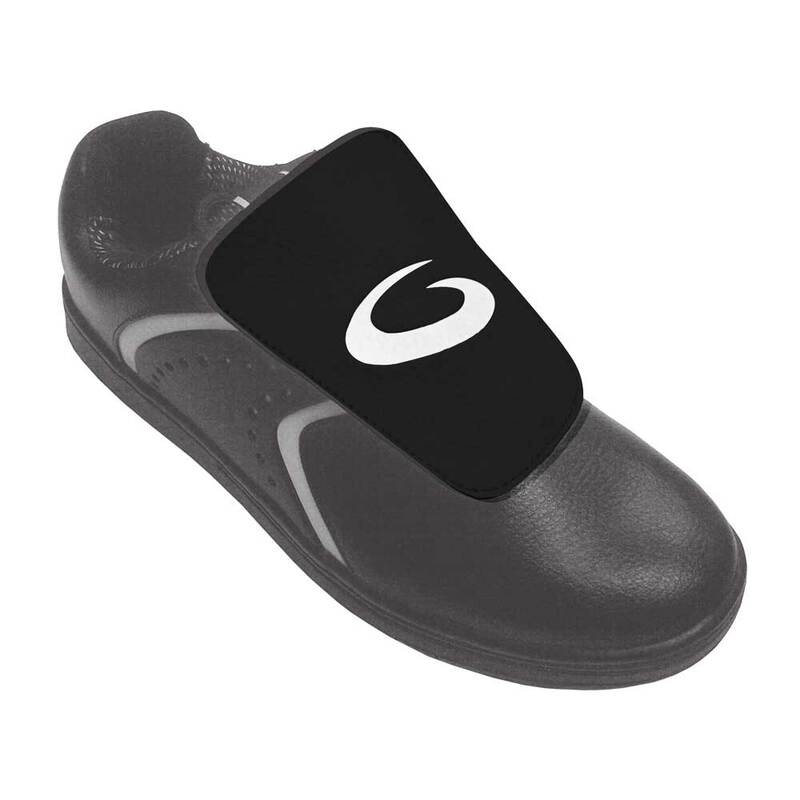 The universal lace cover is designed to be attached to any shoe, providing a more friction free surface to contact the ice.